All Posts Tagged With: "Golden Globes"
GET THE LOOK: Lancôme made yet another star appearance at the 2010 Golden Globes, this time on Sofia Vergara and Camilla Belle. For the gorgeous Modern Family star, celebrity makeup artist Julie Harris dusted Lancôme Star Bronzer ($36.50) on the temples, chin and neck. 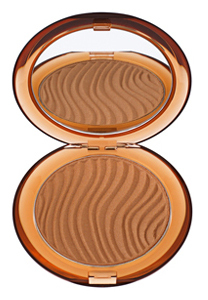 This cult bronzer enhanced Sofia’s tawny complexion while adding that ideal touch of glamour. BEST DRESSED: Jennifer Aniston also gets Marta’s vote for THE best dressed at the 2010 Golden Globes. I loved the hair, makeup, and the beautiful black Valentino gown with its unforgettable slit and Jennifer’s equally unforgettable hot legs! I hear Reese Witherspoon jewels were by Cartier and dress or gown by: I will have to update you on that. Stay tuned! Reese Witherspoon And Ashley Olsen at the 2010 Golden Globes and the secret to their Blond Bombshell blonde hair! 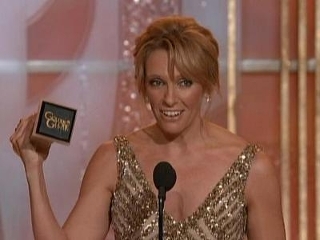 GET THE LOOK: Toni Colette 2010 Golden Globe Winner for Best Actress in a TV Show United States of Tara. The rain couldn’t stop stars from the glamorous looks they created. Toni shimmered in a gold Carolina Herrara dress and her personal makeup artist, Gita Bass helped accentuate her beauty with SENSAI by Kanebo and DEX New York Cosmetics to perfect her Golden Globe Look. 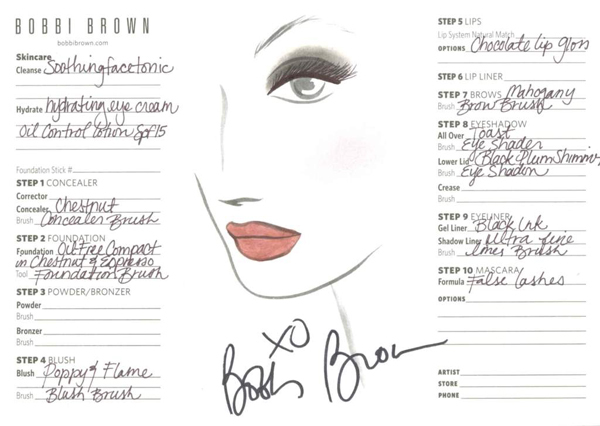 Gita Bass created a smoky bronze eye for Toni by using DEX New York Rockefeller Gold as the base. She applied thenewest version of cult favorite SENSAI 38 Degrees Mascara – Volumizing to her lashes for long lasting full coverage for the entire night that even the rain couldn’t wash off. Toni’s skin was veiled in SENSAI’s New Bronzing Gel – Bass received special access to this line coming out for Spring 2010 in March (3 shades) to give her a sun kissed golden -glow while leaving her skin moist and refreshed.